New Ghosts Theatre Company’s founder and director, Lucy Clements, has been busy since graduating from WAAPA just three years ago. Under her guidance, the Sydney-based independent theatre ensemble has produced and presented four works, including The Wind in the Underground, which played Fringe World last year. This year, New Ghosts Theatre returns to Fringe World with Paper Doll, written by Katy Warner in response to Arthur Miller’s A View from the Bridge, and directed by Clements. Ahead of the show’s WA premiere, Clements squeezed in Seesaw’s Fringe Session Q&A. Seesaw: When did you first know that you wanted to be an actor? Lucy Clements: It certainly wasn’t a childhood dream of mine, though my mother and sisters are involved in theatre so maybe it was inevitable. Thinking back to high school, I really loved biology, drama, literature and visual art, but even when I graduated I had no idea which career path to follow. I took a gap year aiming to figure out what I missed and it was acting! I joined the WA Youth Theatre Company and scoured open audition sites, seeking opportunities in other projects. At the end of that year, I actually enrolled in a Bachelor of Nursing at Notre Dame University, so thought that sealed my fate . 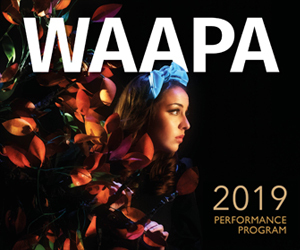 And then I got the call from WAAPA. It wasn’t until I accepted the place there that it really became clear that this is what I was going to do. S: As founder and director of New Ghosts Theatre Company, your roles include writing, producing and directing – did you cover those skills at WAAPA or did you also learn on-the-job? didn’t come until I moved to Sydney, where I got an awesome opportunity as assistant director for a show at the Australian Theatre for Young People. Then I was really lucky to have the Old Fitz take a chance on me by letting me direct a work I’d written in one of their late-night slots later that year. In 2017 I travelled to New York for three months and worked as an assistant director under a really wonderful director named John Gould Rubin. I consider that period of time to be real self-directed training that shaped my craft and the personal philosophies by which I now work. 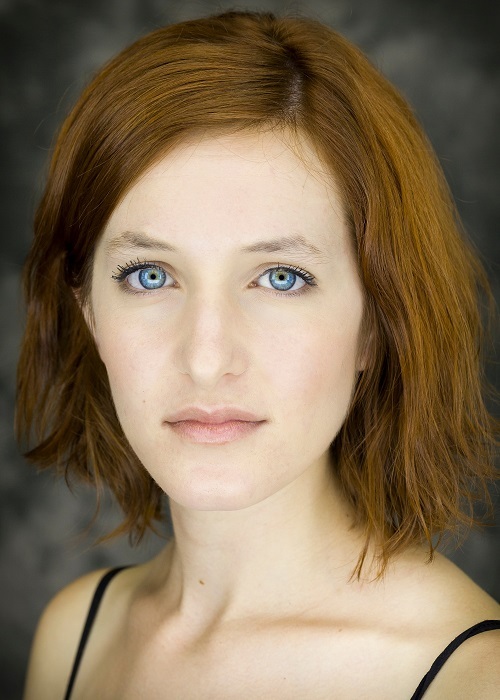 LC: Last year New Ghosts Theatre Company brought Yen, by Anna Jordan, to the stage at Kings Cross Theatre. I discovered the script while I was working in New York. Being able to bring it home and mount my own production of it eighteen months later was a huge accomplishment for me. I couldn’t have been more proud of what we created and it really set a new standard for us as a company. LC: Every Fringe World artist knows how to run a technical rehearsal quickly. The tech. is our one rehearsal in the theatre, where we get to plot the lights and sound and actors get to rehearse on the stage. In a typical show, this might happen over a day or two, and at Fringe World you’re given about four hours. Last year I had the pleasure of directing a work in an Australian festival that will remain unnamed. It wasn’t until the day itself that I was informed that the tech. rehearsal would take place from 3pm-6pm – with the show itself starting at 6pm! The previous show’s rehearsal ran late, so we proceeded at lightening speed. During our last scene, a poor actor bumped the prop bar on stage and all the glass bottles, filled with liquid, smashed… everywhere. There was broken glass and fruit juice as far as the eye could see. The venue manager was very unimpressed, particularly because we were being followed by a dance show performed barefoot. Thanks to a bloody wonderful team, the show went on and we had a great response. But it still doesn’t make for a fond memory. LC: I first appeared in Fringe as a performer while I was at WAAPA , and later in their “600 second” program as a director/writer. Last year my company brought The Wind in the Underground to the State Theatre Centre. Having trained in Perth, it was a real dream come true to have a show in that amazing venue! LC: Paper Doll is one of the best shows I’ve ever had the pleasure of being a part of. It was made in 2017 in the inaugural “New Fitz” program at the Old Fitz Theatre in Sydney. This company commissioned ten Australian playwrights to write ten new one-act plays in response to one of the shows they were producing in their mainstage season. The resulting shows were then presented in tandem with the mainstage show which inspired them. I was paired with the amazing Katy Warner (who, coincidentally, is also Perth born and bred! ), who wrote in response to Arthur Miller’s A View from a Bridge. Katy took the inappropriate relationship between Eddie and Catherine as the underlying seed of inspiration for Paper Doll, and the result is an extremely dark and intense whirlwind of a work, which is performed by two world-class actors, Martin Ashley Jones and Hayley Pearl. Both these actors have recently returned to Australia after a long time working in the US, and I can’t wait for them to make their Perth debut with Paper Doll. New Ghosts Theatre Company’s production of Paper Doll plays nightly from 12 – 16 February at the Blue Room Theatre. Pictured top: The cast of “Paper Doll”, Martin Ashley Jones and Hayley Pearl.